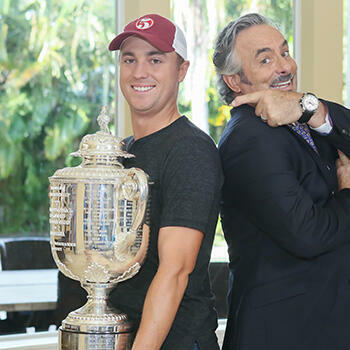 Feherty visits with first time major winner Justin Thomas three days after Justin’s PGA Championship victory. 24-year-old Thomas talks about the pressure during his recent victory and almost literally choking during the final round. He also discusses his friendship with multiple major winner Jordan Spieth, his ferocious competitiveness and wearing long pants. And there’s even some inside information on the pranking side of the PGA Tour.